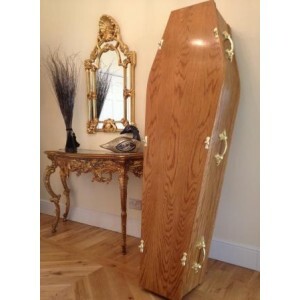 The coffin is a major signifier of the character of the deceased: opulence, comfort, smartness, dignity or glamour - you can conjour any of these with the right choice. 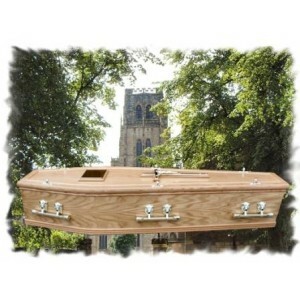 Hand made locally, primarily by a local British family business to the very highest quality. 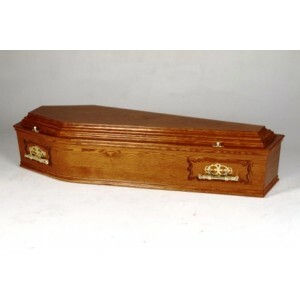 We deliberately avoid the use of wood preparations and finishes on our coffins and caskets that are harmful to the environment. 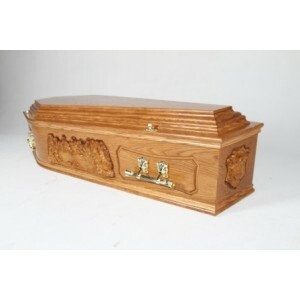 The Coffin Company offers the facility to make a funeral a celebration of your loved ones life providing free impartial advice on the facilities of a funeral. 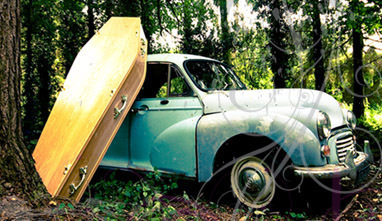 We hope you can find what you are looking for on our website. 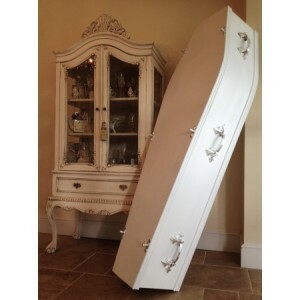 If not please do not hesitate to call one of our friendly team on 01670 943143 to discuss your requirements. 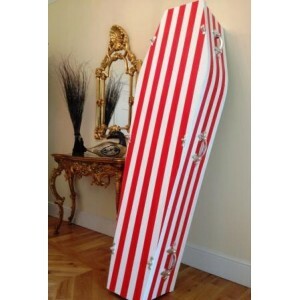 'Punk Rock' 1970's theme Coffin 'Punk Rock' 1970's Theme Coffin by 'The Coffin Company' have crea.. 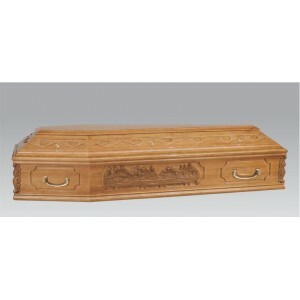 Double Wreath Mould Coffins The UK's finest examples of a traditional handmade coffins. 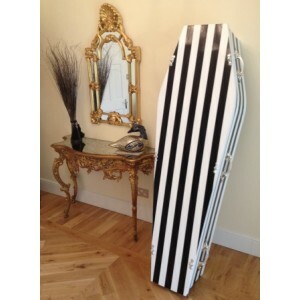 ..
Dressing Kit. Consists of a lace elasticated frill which fits around the main part of the coffin ..
'Football' Theme Coffins We have created a range of colourful Football theme coffins ma.. 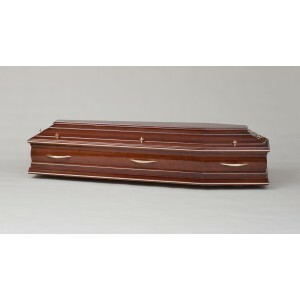 Individually handmade by skilled craftsmen making each coffin unique, special and a personal tribute..
Golden Oak Veneered Caskets 'The Coffin Company' provides the finest examples of a handmade C..
Mahogany Four Mould Coffin 'The Coffin Company' provides the finest examples of a Traditional Cof..
Mahogany Raised Lid Double Mould Coffin 'The Coffin Company' provides the finest examples of a Tr..
Milano High Raised Lid Coffins 'The Coffin Company' is the UK’s First direct-to-the-public On..
Oak Raised Lid & Panel Coffins The UK's finest examples of traditional hand crafted coff..
Pet Coffins & Caskets. 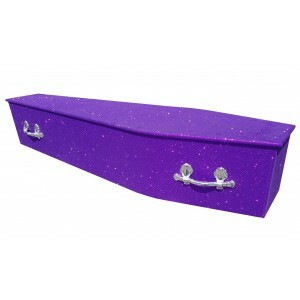 "Farewell My Friend"
Our beautiful handmade Pet Coffin offers a traditional theme at a very affordable price. We .. 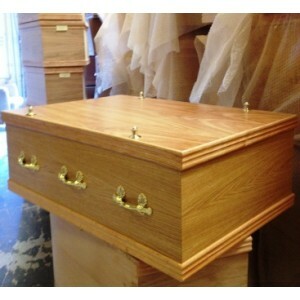 Premium solid oak coffin A solid oak coffin with rope carving feature and finished in a 'piano' h.. 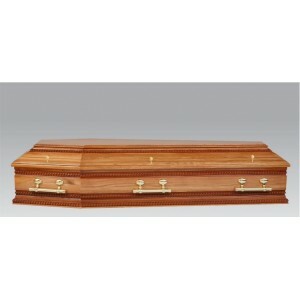 Premium solid oak coffin with two tone shading A solid oak coffin with rope carving feature and f..
Crafted from the finest European pine and finished with a satin lacquer. Fitted with si.. 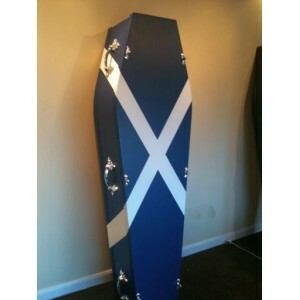 Premium solid pine coffin Crafted by hand from the finest solid European pine and finished with a..
Classically designed Last Supper coffin finished with a mahogany stain and a 'piano' high gloss varn..
Scottish Flag Coffin (Hand Painted) We have created a range of colourful handmade flag .. 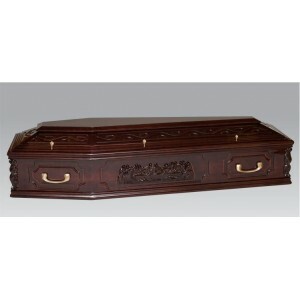 Solid Mahogany Raised Lid Panel Coffin 'The Coffin Company' provides the finest examples of a Tra.. 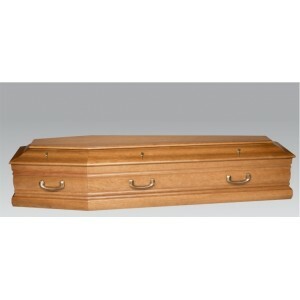 Solid Oak Casket 'The Coffin Company' provides the finest examples of traditional coffins and cas.. 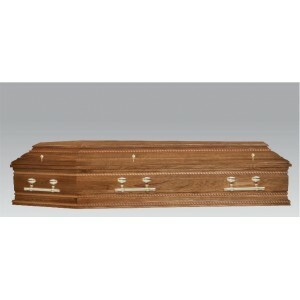 Solid Oak Coffins 'The Coffin Company' provides the finest examples of a traditional hand crafted.. 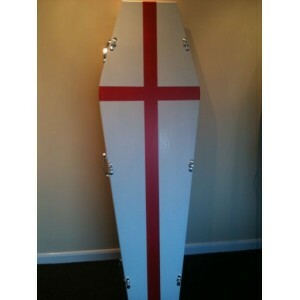 Solid Oak Raised Lid Panel Coffins The UK's finest examples of traditional hand crafted..
St Georges Flag Coffin (Hand Painted) St Georges Flag Coffins by 'The Coffin Company' h.. 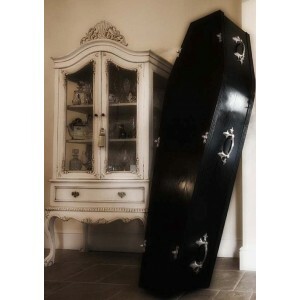 This beautiful 'The Last Supper' Coffin offers a traditional theme but at an affordable price. 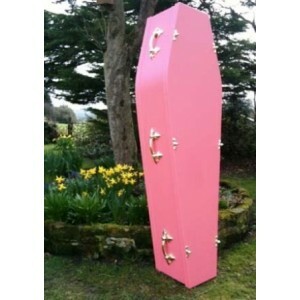 Beaut..
Orchestra Black Colourful Coffins 'The Coffin Company' provides the finest examples of a Traditi.. 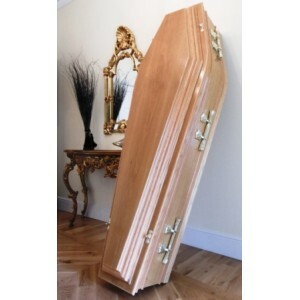 Traditional Mahogany Veneered Coffins 'The Coffin Company' provides the finest examples of a Trad.. 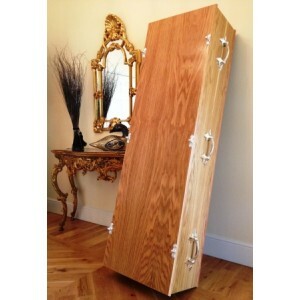 Traditional Oak Veneered Coffins 'The Coffin Company' provides the finest examples of a Tradition.. 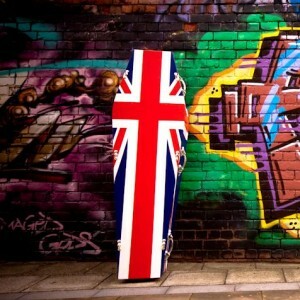 Traditional Raised Lid Coffins 'The Coffin Company' is the UK’s First direct-to-the-public Online..
Union Jack Coffin (Hand Painted) Union Jack Flag Coffins by 'The Coffin Company' have created a r..
Wreath Mould Lid & Side Panel Coffin 'The Coffin Company' provides the finest examples of a T..